The leadership and members of Association of Local Government of Nigeria (ALGON) has congratulated the Governor of Abia State, Dr Okezie Ikpeazu, for conducting a peaceful local government election in the state after a decade of inability of past administrations in the state to conduction local government elections. In a letter addressed to the Governor and signed by the National President of ALGON, Hon. Ibrahim A. Karaye, the group said that Governor Ikpeazu’s courage in conducting the election that other governors shy away from, stands him (Ikpeazu) out amongst others. The letter reads: “On behalf of National Executive Council (NEC), members of Board of Trustees (BOT) and entire membership of Association of Local Governments of Nigeria (ALGON), we write to heartily congratulate Your Excellency on the recently concluded peaceful local government elections in Abia State. “Your courage in conducting an election most of your colleagues shy away from, stands you out amongst your peers and we commend you for taking an action that will further entrench and deepen our local democracy as well as enhance good governance and service delivery to the grass root. 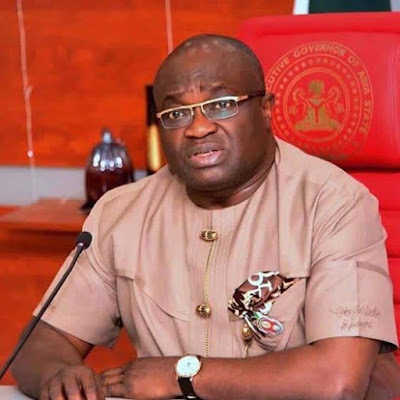 It will be recalled that Abia State under Governor Ikpeazu conducted the local government election in December last, after nearly a decade that past administrations in the state failed to conduct elections at the third tier of government.